Just a few steps from the beach...kick back and relax in this newly renovated vacation/long term rental with new kitchen, baths granite countertops, stainless steal appliances, and wood look tile floors. Fully furnished and in the middle of popular restaurants, concerts, shops, and events, park and tennis courts. Washer/dryer included, Granite counter tops, new appliances & flooring in this open & airy floor plan! 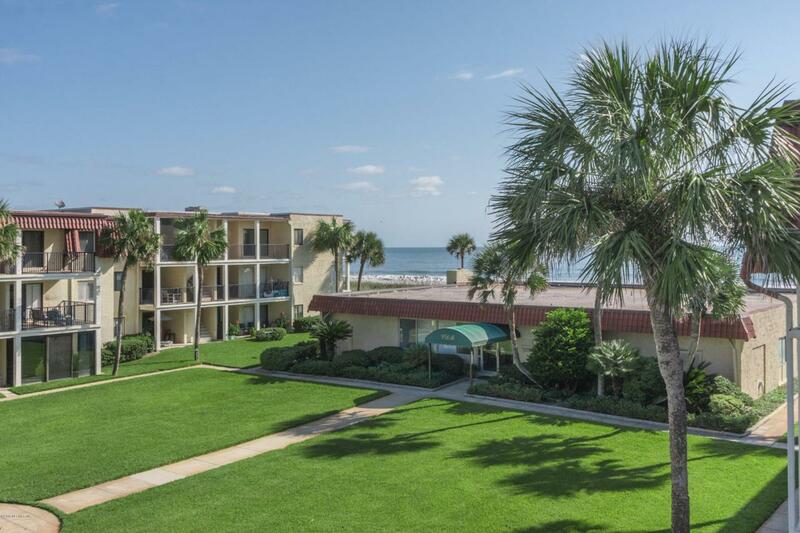 Relax on the balcony overlooking the courtyard and ocean! Amenities include swimming pool, clubhouse & more! Tennis courts nearby & numerous golf courses in surrounding area! Walk to shops & restaurants! Come stay for 2 weeks, a month or year round! Rental rates vary depending on length of stay & time of year.